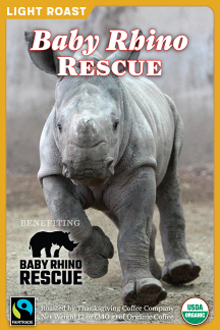 Touched by the lives of these unique and socially complex creatures, it is the mission of Baby Rhino Rescue to provide physical and emotional support to the baby rhinos left behind in the wake of rampant poaching. 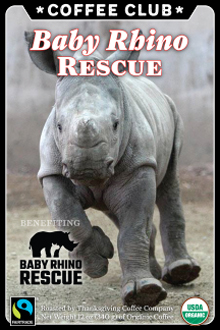 The vision is for each of these orphan rhinos to have a safe future in the wild, and we strongly believe that by working together we can save rhinos from extinction. 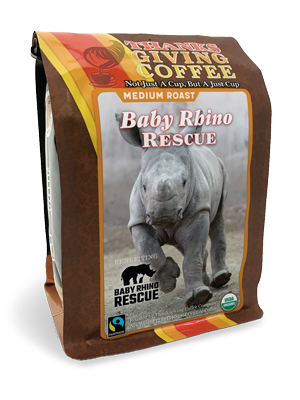 Our Medium Roast selection for Baby Rhino Rescue is a fair trade and organic version of our most popular medium roast coffee. The reason it's so popular? It tastes great. Sourced from our producer-partners and small farmer cooperatives in Nicaragua, Guatemala, Peru, and Ethiopia - many of which we have been working with for over two decades. 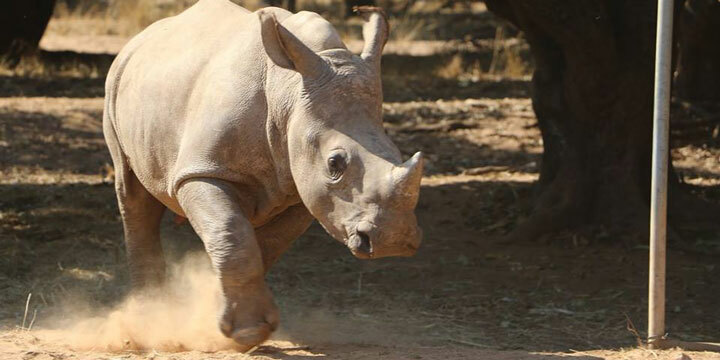 These long-standing relationships allow us to present only the finest sustainable, fair trade and organic coffees.